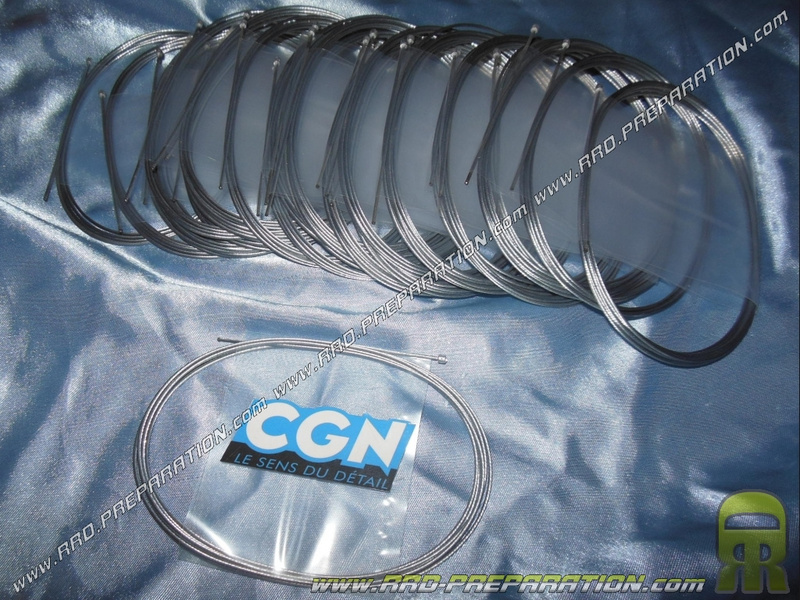 CGN selection accelerator cable (Manufacture TRANSFIL) with a length of 2.00 meters and Ø1.2mm. Standard carburetor bushel notch ball Ø3 by 3mm long. Excellent quality. Delivered as shown in the photograph, provided for PIAGGIO CIAO but can also be mounted on Peugeot 103, MBK 51 and other vehicles.